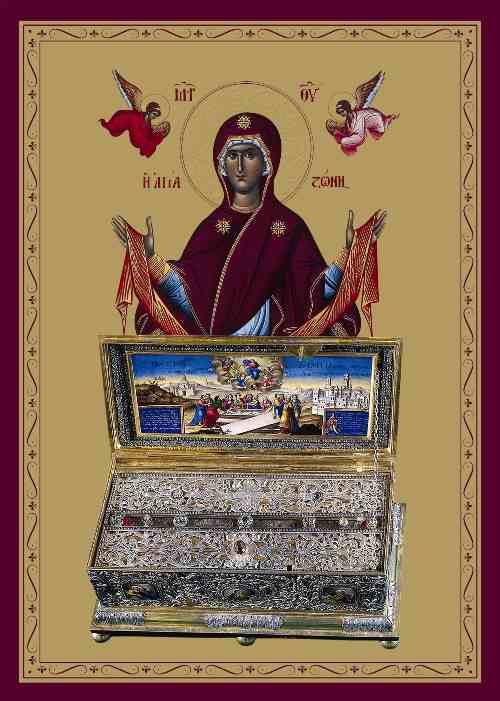 The Panagia is especially honored in Vatopaidi. Its katholikon is dedicated to the Annunciation, while its wonderworking icons (Vimatarissa, Esphagmeni, Antiphonitria, Paramithia, etc.) are laden with wonderful histories. The wonderworking Zoni (Belt or Sash) of the Theotokos is also kept there, which in former times was in Constantinople, "in her venerable house which is in Chalkoprateia," in Blachernae. 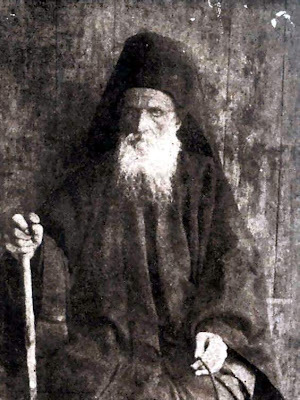 [Elder Daniel Katounakiotis] had hardly arrived [at the Monastery of Vatopaidi] before he suffered an acute attack of nephritis. His "thorn in the flesh" pricked him very grievously this time, and he was immobile in his bed for weeks. The fathers of the Monastery nursed him with great love. Even greater love was shown him, however, by the great physician of the Holy Mountain, the Theotokos. Fr. 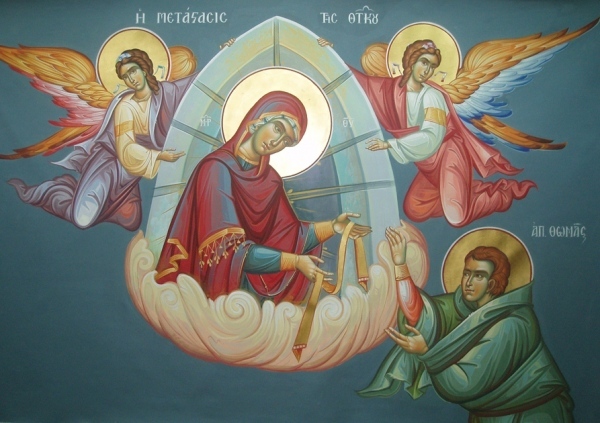 Daniel was especially devoted to the Lady Theotokos, with the same devotion, confidence and reverence that all the saints have nourished towards her. Therefore he implored her to visit him in his suffering, entreating her with tears and warmth of heart. He was sure of her answer, for he knew her promises. Was it possible for her not to fulfill them? And truly, on August 31, the day that the Monastery celebrated the feast of her Holy Zoni, the sick man was suddenly healed. The cure was complete; never again was he troubled by his terrible illness, which had tormented him for ten years. What worthy words could he find with which to thank and praise the All-Pure Mother of monks? "Thou art the joy of those in sorrow, the deliverance of the weak, O Theotokos Virgin; save thy city and thy people, thou peace of the embattled and calm of the suffering, thou only Protectress of the faithful." 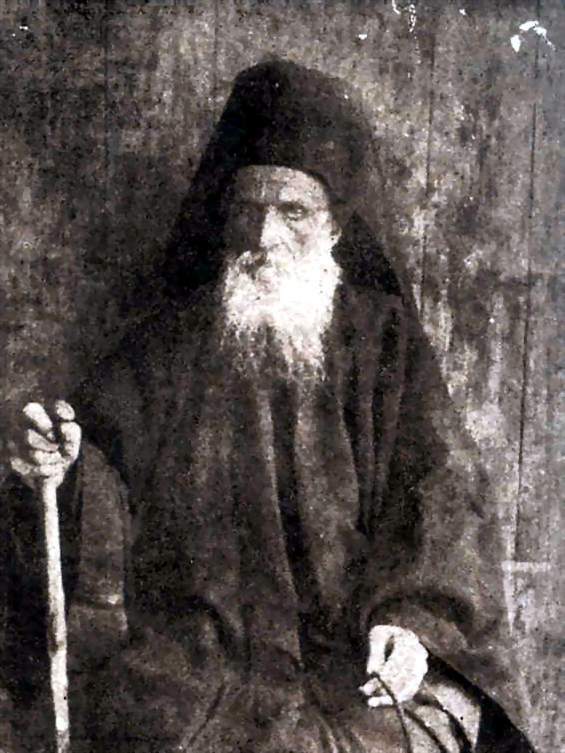 From Contemporary Ascetics of Mount Athos (vol. 1), pp. 237-239.